Today, the average home loan for purchase takes 40+ days to close, with lender manufacturing costs upwards of $8,800. 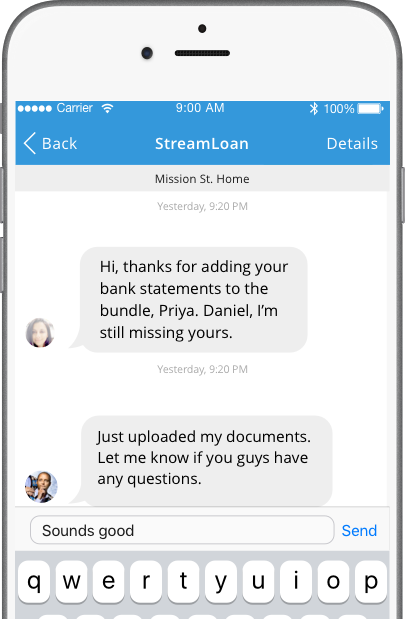 StreamLoan can reduce the closing window by consolidating the entire process into a secure, consistent, simple, private-labeled digital and mobile solution. 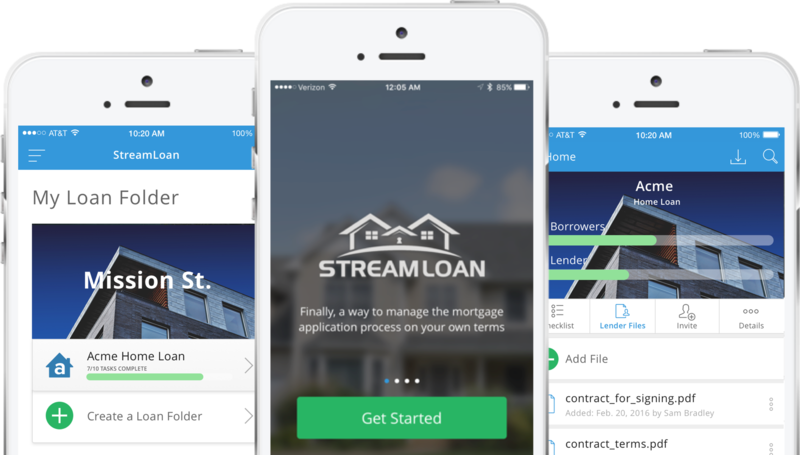 StreamLoan's digital mortgage platform gives lenders the power to increase revenue, close more loans, and deliver the best borrower experience while reducing cost. 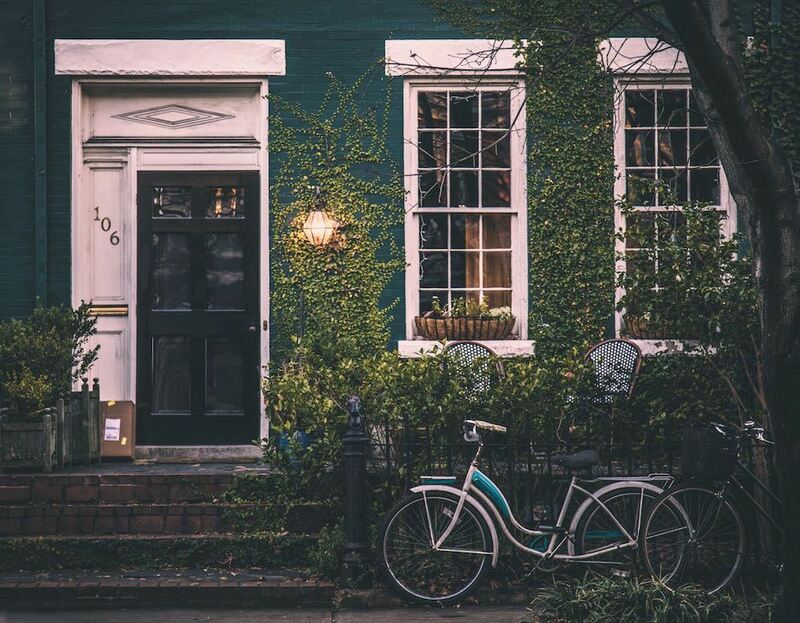 Turbocharge the customer experience – connect borrower, lender, real estate agent, and relevant home purchase stakeholders. Consolidate and streamline lead management– this includes your digital leads purchased, your referrals from home builders or real estate agents, or from other digital channels. 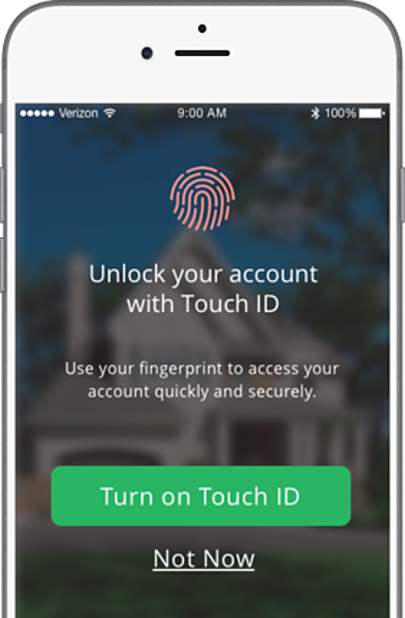 Build customer confidence– enable borrowers and their real estate agents to monitor loan progress. 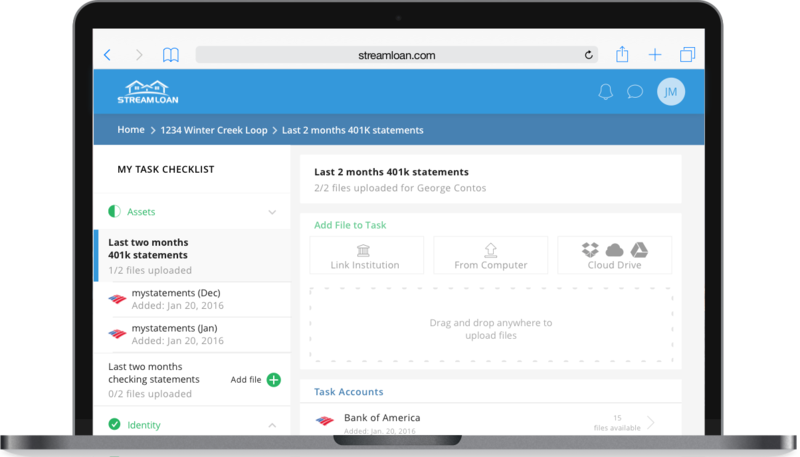 Keep it moving– resolve issues in real-time to speed home purchases on loan files. Boost margins through productivity– collect, review, and approve financial and other borrower documents - from any device, anytime. Align and inform all parties simultaneously– manage updates and instantly communicate with all relevant parties to share status, identify and resolve issues, and keep your business partners and borrower up-to-date. Speed turnaround times– build cleaner loan files to share with underwriting for faster processing times. Improve accuracy– allow borrowers to collect flawless financial documents/data directly from their source. Cleaner documents coming into the loan file make underwriting turnaround times faster, with fewer wasted cycles between borrowers, lending team, and underwriting. 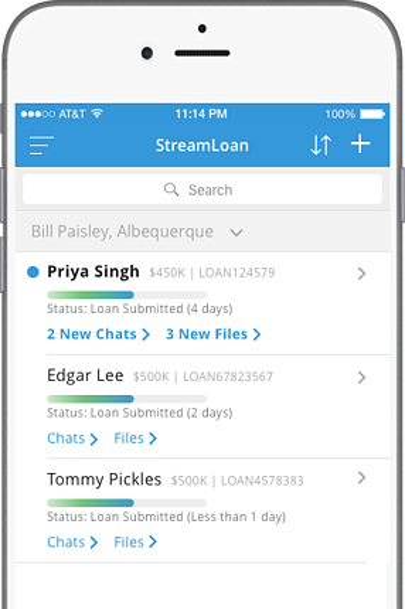 Process more loans, faster– provide a consistent workflow and process across your entire lending organization. Use one platform for everything – seamlessly collect, manage, and share data and documents through system integrations such as LOS software, CRM, credit, employment verification, banks, pricing, and other legacy systems. Keep the process moving by sharing documents more easily - send pre-qual / pre-approval letters, disclosures, purchase contracts, appraisals, and other relevant home purchase documents to your borrowers. Communicate easily and maintain a record– use real-time chat and notifications to work with all parties to keep every conversation in a single centralized location. Reduce errors and omissions– create cleaner loan files for underwriting more efficiently. Surprise and delight your underwriters and borrowers– collect 1003 mortgage applications and supporting financial documents faster than ever. Reliable real-time data– gather data from banks, insurance companies, brokerages, tax, and payroll systems to process files more quickly and accurately with your borrowers. Improve workflow – receive electronic authorizations from users within the app. Improve security–we encrypt your data at rest and in-flight with AES-256 bit bank level security, AICPA secure & CFPB compliant. Build an audit trail– qualification process is automatically tracked and saved. Assign roles– team members can be assigned to a variety of roles including Management, Loan Officer, Loan Officer Assistant, Junior Loan Officer, Processor and Underwriter, enabling the right set of security access. Bring in lending partners– support retail/direct, wholesale brokers, and correspondent lending, among other more complex business models. Compete with the big guys– give your borrowers the simple digital experience they expect - including a private-labeled native app in both Apple’s App Store and the Google Play Store. Provide a branded experience– customize the look and feel of the platform to your brand. Impress borrowers– make your branded experience available across all clients including iOS, Android, and Web.